Tops Salisbury have recently been inviting their children to experience the cycle of growth through the implementation of a thriving Gardening Club. Every week, the children aged from 3 months to 5 years are getting involved in a host of gardening activities. Babies and toddlers are being encouraged to explore different growing environments by planting seeds and transferring seedlings to a specially designed area of the show-stopping garden. Preschool children are being given the opportunity to take responsibility for their own growing projects and have autonomy over nurturing their plants. The focus of the Gardening Club is not just about planting, but also places a strong importance on caring. The children are actively engaged in tiding the borders of the garden, and weeding. They also take charge of watering, feeding and protecting their plants. As with all events at Tops Day Nurseries, Gardening Club will run all year round. Tops Salisbury is fortunate to have a fantastic canopied area within the garden which allows the children to continue planting, monitoring, and eventually harvesting, whatever the weather. According to Deputy Nursery Manager, Sally, there has been “a definite increase in our children’s interest in nature. They love growing various plants and have also been really interested in finding out more about insects and animals. 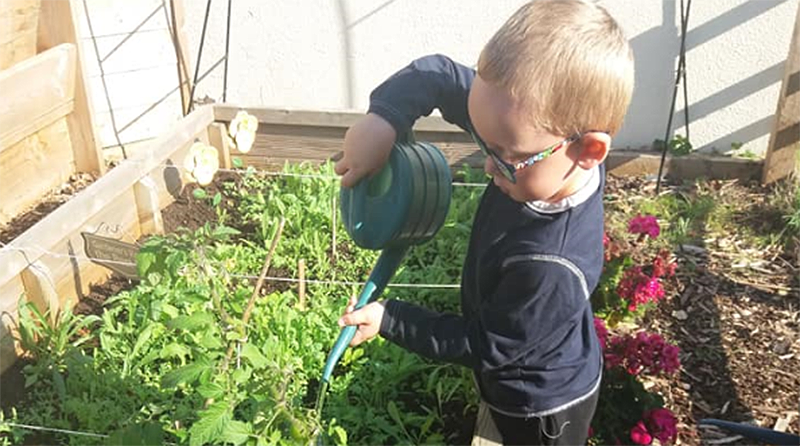 It’s delightful to see!” Since the implementation of the Gardening Club, the nursery have also been pleased to see an increase in children’s engagement during mealtimes. Recipes are often created by the children using their own hand-grown produce in Tops Cooking School.